The night has come. You and your alien friends came to the planet and need to do some tests. 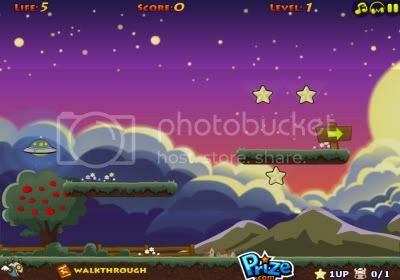 Fly through each stage collecting stars, avoiding bombs and abducting all of the cows.